The history of codebreaking is a fascinating subject not only for the mythic figures and their brain-melting accomplishments, but also for the unsung heroes who are only recently being rediscovered. A few months ago, I wrote a blog post about Elizebeth Smith Friedman, a woman who shaped a new foundation for American codebreaking, but has long since been overshadowed by the reputation of her husband William Friedman (as well as FBI sexism and self-promotion which helped to bury and/or co-opt her accomplishments as their own). And as part of my research into Elizebeth’s story, I encountered a curious anecdote from the 1600s about another codebreaker and influential spymaster who history had forgotten. Monks, librarians, linguists, pianists and flutists, diplomats, scribes, postal clerks, astrologers, alchemists, players of games, lotharios, revolutionaries in coffee shops, kings and queens: these are the ones who built the field across the centuries and pushed the boundaries forward, stubborn individuals with a lot of time to sit and think and not give up. Most were men who did not believe women intellectually or morally capable of breaking codes; some were women who took advantage of this prejudice to steal secrets in the shadows. One of the more cunning and effective codebreakers of the seventeenth century was a Belgian countess named Alexandrine, who upon the death of her husband in 1628 took over the management of an influential post office, The Chamber of the Thurn and Taxis, which routed mail all throughout Europe. Naturally, I was intrigued. But there’s surprisingly little out there about Alexandrine, whose full title was Alexandrine of Rye-Varax, Countess of Taxis, widow of Leonard II, Count of Taxis, occasionally shortened to Alexandrine von Taxis. She gets merely a paragraph on Wikipedia, and most Google searches only feature her as part of noble family trees. Despite her status as a widow, she was sworn into office as Postmistress in 1628 (serving as such until 1646, when her son would come of age), using those years to improve the wealth and status of her family while expanding the reach of the Taxis postal business, based in the Spanish Netherlands. [The Taxis postal service, circa 1505-1516. Alexandrine took over the Taxis postal service — the primary postal service across the continent, save for private couriers. She had a monopoly over the post in Europe, and was the de facto postmistress for the entire Holy Roman Empire. And she used that position to her advantage, forming the Chamber of Taxis, an elite intelligence team composed of agents, forgers, scribes, codebreakers, and artisans. In a couple of hours, they could melt the wax seals off letters, copy their contents (in short-hand, often), decipher any coded messages, forge a new seal (and any other marks, including signatures, that would authenticate a seal), reseal the letter, and send it on its way, the invasion of privacy undetected. She spoke four languages — French, Dutch, Italian, and German — and was very politcally savvy, cultivating relationships with fellow nobles even as she prowled through their private messages. It’s not clear for whom she was spying. Some sources claim she sold her information to the highest bidder, while others claim she worked for both Emperor Ferdinand II and his son and successor Ferdinand III. And discounting her was a mistake, given that she commanded a crucial hub in the postal network. 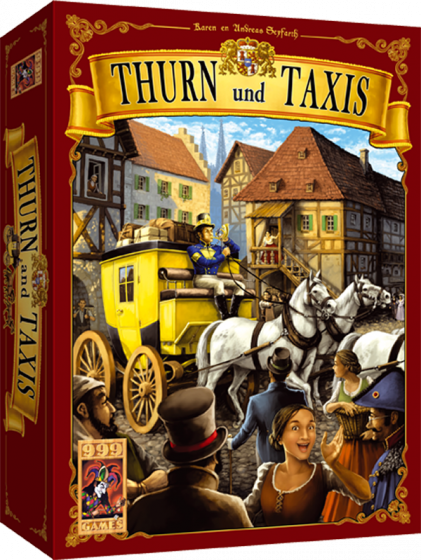 [Yes, there’s even a board game based on the family business. 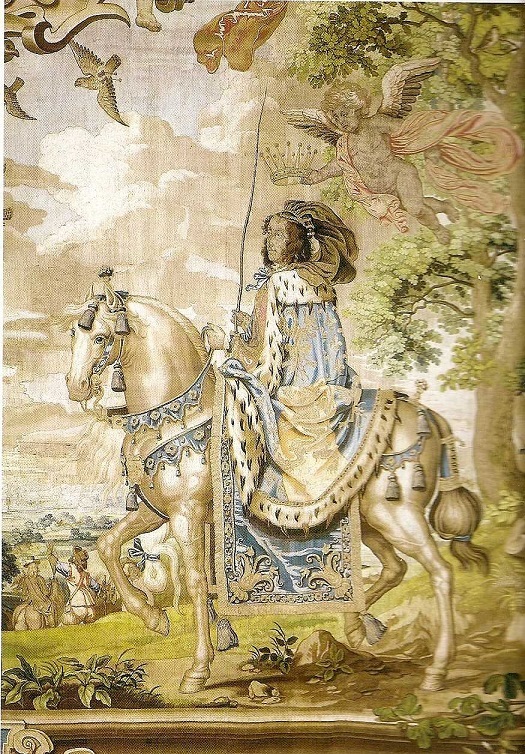 Since the 1490s Brussels had been the gateway to Europe’s postal network, connecting international postal routes from Spain, France, Italy, Austria, Germany, Scandinavia, and England. 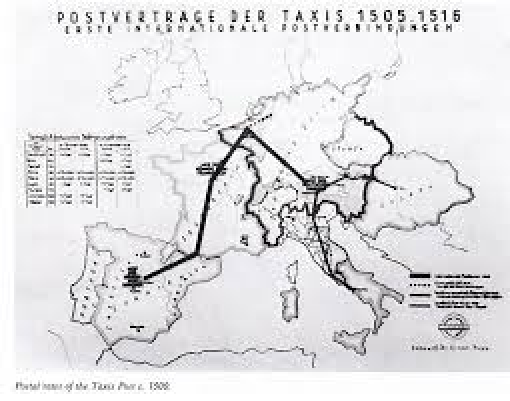 One single family, the Counts of Taxis (from 1649/50 Thurn and Taxis), commanded the mounted couriers over these many-branched routes. Yes, the family name and title changed, and that was also Alexandrine’s doing. 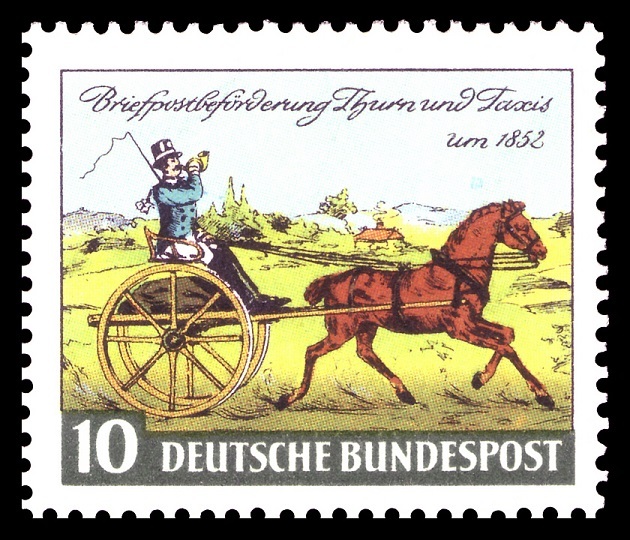 When those aforementioned German princes questioned having a woman running the Taxis postal service, she ordered a full ancestral workup. 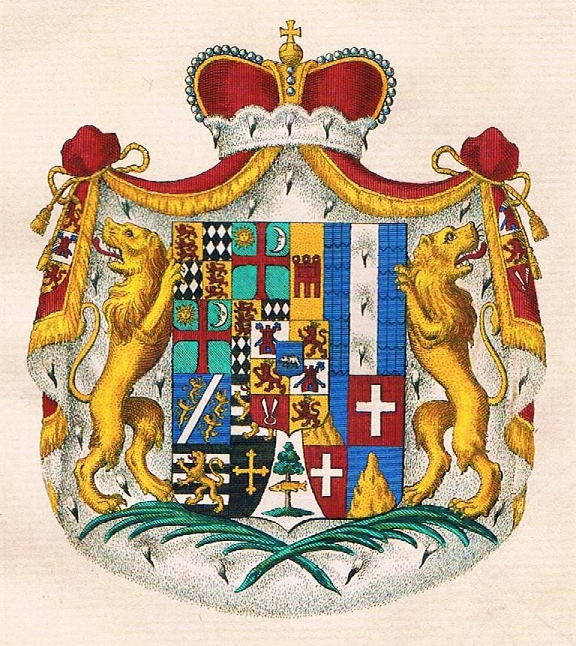 That examination revealed her family’s ties to another important lineage, and from that point on, The Thurn and Taxis postal service (as well as her spy organization, The Chamber of the Thurn and Taxis) would bear that additional name, increasing the prestige and reputation of both family and business alike. For eighteen years, Countess Alexandrine commanded both a business and a spy network that spanned the European continent, influencing the information flowing between various noble families, and no doubt helping to shape the future of Europe. I sincerely hope more is revealed about her life and the work of The Chamber of the Thurn and Taxis in the future. I feel like we’ve only just scratched the surface of the role she (and the group) played in European history.